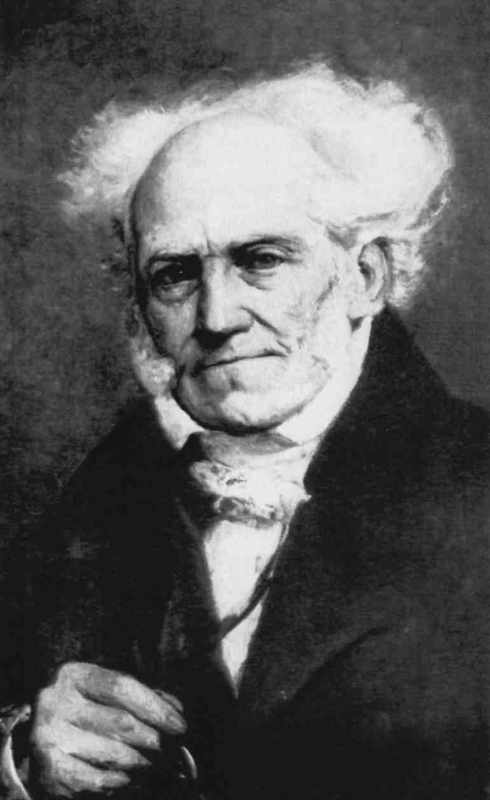 Arthur Schopenhauer was a famous Philosopher from Germany, who lived between February 22, 1788 and September 21, 1860. He became 72 years old. He was a German philosopher born in Danzig. He is best known for his masterpiece "The world as will and idea." Schopenhauer's philosophy was in many ways a response to and an extension of Immanuel Kant's philosophy regarding the ways we recognize the world. His criticism of Kant is among his most important works. Among the thinkers who loved Schopenhauer literature include Soren Kierkegaard, Ludwig Wittgenstein, Sigmund Freud, Wagner and Friedrich Nietzsche. He is born under the zodiac pisces, who is known for Fluctuation, Depth, Imagination, Reactive, Indecisive. Our collection contains 70 quotes who is written / told by Arthur, under the main topics: Anger, Change, Happiness, Medical, Power. "To free a person from error is to give, and not to take away"
"To buy books would be a good thing if we also could buy the time to read them"
"Suffering by nature or chance never seems so painful as suffering inflicted on us by the arbitrary will of another"
"There is no doubt that life is given us, not to be enjoyed, but to be overcome; to be got over"
"In the sphere of thought, absurdity and perversity remain the masters of the world, and their dominion is suspended only for brief periods"
"There is no absurdity so palpable but that it may be firmly planted in the human head if you only begin to inculcate it before the age of five, by constantly repeating it with an air of great solemnity"
"It is only a man's own fundamental thoughts that have truth and life in them. For it is these that he really and completely understands. To read the thoughts of others is like taking the remains of someone else's meal, like putting on the discarded clothes of a stranger"
"In our monogamous part of the world, to marry means to halve one's rights and double one's duties"
"It is with trifles, and when he is off guard, that a man best reveals his character"
"It is only at the first encounter that a face makes its full impression on us"
"It is a clear gain to sacrifice pleasure in order to avoid pain"
"With people of limited ability modesty is merely honesty. But with those who possess great talent it is hypocrisy"
"Will power is to the mind like a strong blind man who carries on his shoulders a lame man who can see"
"Will minus intellect constitutes vulgarity"
"Wicked thoughts and worthless efforts gradually set their mark on the face, especially the eyes"
"Wealth is like sea-water; the more we drink, the thirstier we become; and the same is true of fame"
"We forfeit three-quarters of ourselves in order to be like other people"
"We can come to look upon the deaths of our enemies with as much regret as we feel for those of our friends, namely, when we miss their existence as witnesses to our success"
"Treat a work of art like a prince. Let it speak to you first"
"The more unintelligent a man is, the less mysterious existence seems to him"
"The man never feels the want of what it never occurs to him to ask for"
"The longer a man's fame is likely to last, the longer it will be in coming"
"The greatest of follies is to sacrifice health for any other kind of happiness"
"The greatest achievements of the human mind are generally received with distrust"
"The fundament upon which all our knowledge and learning rests is the inexplicable"
"The first forty years of life give us the text; the next thirty supply the commentary on it"
"The doctor sees all the weakness of mankind; the lawyer all the wickedness, the theologian all the stupidity"
"The discovery of truth is prevented more effectively, not by the false appearance things present and which mislead into error, not directly by weakness of the reasoning powers, but by preconceived opinion, by prejudice"
"The difficulty is to try and teach the multitude that something can be true and untrue at the same time"
"Patriotism, when it wants to make itself felt in the domain of learning, is a dirty fellow who should be thrown out of doors"
"Opinion is like a pendulum and obeys the same law. If it goes past the centre of gravity on one side, it must go a like distance on the other; and it is only after a certain time that it finds the true point at which it can remain at rest"
"Obstinacy is the result of the will forcing itself into the place of the intellect"
"Newspapers are the second hand of history. This hand, however, is usually not only of inferior metal to the other hands, it also seldom works properly"
"Nature shows that with the growth of intelligence comes increased capacity for pain, and it is only with the highest degree of intelligence that suffering reaches its supreme point"
"National character is only another name for the particular form which the littleness, perversity and baseness of mankind take in every country. Every nation mocks at other nations, and all are right"
"Music is the melody whose text is the world"
"Money is human happiness in the abstract; he, then, who is no longer capable of enjoying human happiness in the concrete devotes himself utterly to money"
"Men are by nature merely indifferent to one another; but women are by nature enemies"
"Martyrdom is the only way a man can become famous without ability"
"In action a great heart is the chief qualification. In work, a great head"
"If you want to know your true opinion of someone, watch the effect produced in you by the first sight of a letter from him"
"If we were not all so interested in ourselves, life would be so uninteresting that none of us would be able to endure it"
"I've never known any trouble than an hour's reading didn't assuage"
"Honor means that a man is not exceptional; fame, that he is. Fame is something which must be won; honor, only something which must not be lost"
"Honor has not to be won; it must only not be lost"
"Hatred is an affair of the heart; contempt that of the head"
"Great minds are related to the brief span of time during which they live as great buildings are to a little square in which they stand: you cannot see them in all their magnitude because you are standing too close to them"
"Great men are like eagles, and build their nest on some lofty solitude"
"Friends and acquaintances are the surest passport to fortune"
"For an author to write as he speaks is just as reprehensible as the opposite fault, to speak as he writes; for this gives a pedantic effect to what he says, and at the same time makes him hardly intelligible"
"Every possession and every happiness is but lent by chance for an uncertain time, and may therefore be demanded back the next hour"
"Every person takes the limits of their own field of vision for the limits of the world"
"Every parting gives a foretaste of death, every reunion a hint of the resurrection"
"Every nation ridicules other nations, and all are right"
"Each day is a little life: every waking and rising a little birth, every fresh morning a little youth, every going to rest and sleep a little death"
"Compassion is the basis of morality"
"Change alone is eternal, perpetual, immortal"
"Buying books would be a good thing if one could also buy the time to read them in: but as a rule the purchase of books is mistaken for the appropriation of their contents"
"Boredom is just the reverse side of fascination: both depend on being outside rather than inside a situation, and one leads to the other"
"Because people have no thoughts to deal in, they deal cards, and try and win one another's money. Idiots!" "As the biggest library if it is in disorder is not as useful as a small but well-arranged one, so you may accumulate a vast amount of knowledge but it will be of far less value than a much smaller amount if you have not thought it over for yourself"
"Almost all of our sorrows spring out of our relations with other people"
"All truth passes through three stages. First, it is ridiculed. Second, it is violently opposed. Third, it is accepted as being self-evident"
"After your death you will be what you were before your birth"
"A man's face as a rule says more, and more interesting things, than his mouth, for it is a compendium of everything his mouth will ever say, in that it is the monogram of all this man's thoughts and aspirations"
"A man's delight in looking forward to and hoping for some particular satisfaction is a part of the pleasure flowing out of it, enjoyed in advance. But this is afterward deducted, for the more we look forward to anything the less we enjoy it when it comes"
"A man can do what he wants, but not want what he wants"
"A man can be himself only so long as he is alone"